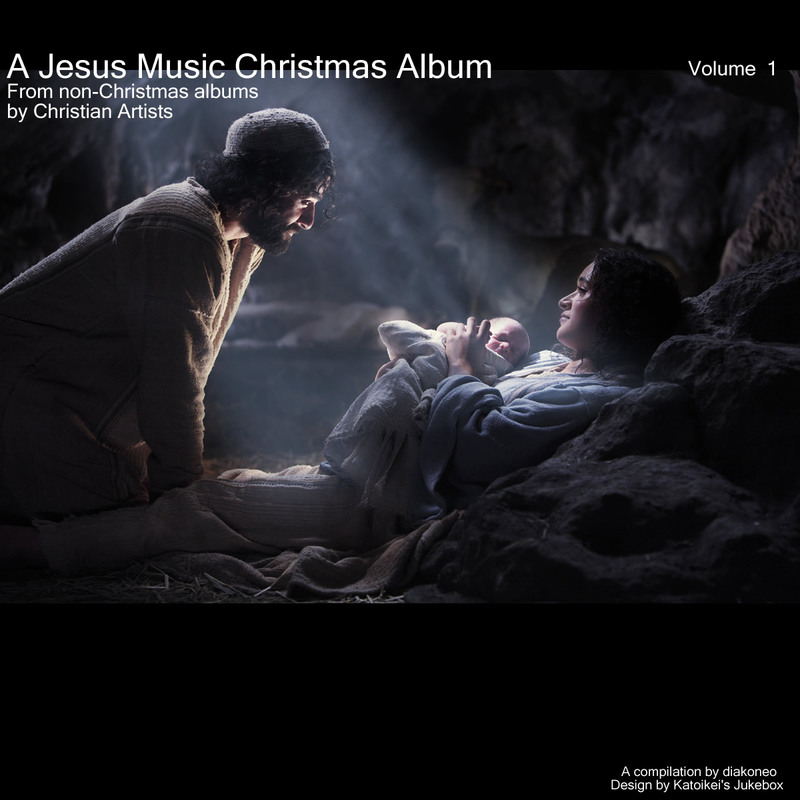 This is my special Christmas gift to the Jesus music community for this advent season. 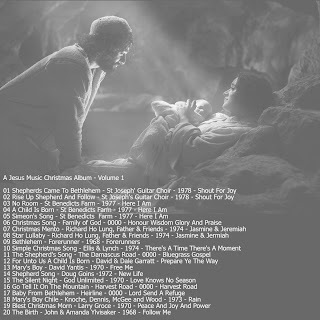 These are all songs that appear on Non-Christmas albums by Christian artist. By Non-Christmas I mean the album was not all Christmas music but had other messages included on the album. Some albums there was only one song and I think the most was around 4 on any one album. This will be an ongoing project this Christmas season, as we remember the birth of our savior Jesus. There are some very interesting songs from different perspectives. It is my hope that these songs will add to your remembrance of Jesus. Hi Dia. I haven't posted any comments lately, i have been busy doing other things but i say thank you with all my heart for you latest additions. This one carries the spirit of christmas. Soothing music for a quiet winterevening. Its good that you didn't include the wellknown songs that you can hear on nearly every christmas album. My favourite Jesus music album that includes christmas songs can also be found on this blog. Its 'Thanks a trillion' by Acceptance with Joy. It's snowing here in Germany and I'm sitting in my room and looking out of the window and listening to this sampler. The music is very soothing and it draws me closer to Jesus. A great compilation. Thanks again. In times like this – with so much trouble, pain and confusion – is the soothing music that draws you closer to Jesus – like you find on this blog – really something special. Any chances that the "Thanks a Trillion" album by Acceptance With Joy could be reuploaded? Seems the link is not working any more.